So I'm curious, are you into New Years Resolutions? I haven't always been but as I grow up I do find them to be useful, however I don't like to refer to them as resolutions. I feel like the tradition of resolutions can put too much pressure on us and not only that but come January 1st we are usually exhausted and still in holiday mode so these 'resolutions' don't even begin on the day that they are expected to! I like to refer to my list as goals and frequent reminders. I start off by creating categories that I want to set goals for whether it be money, health, personal development, work, etc. then fill them in. Once I have my list I type it up to look pretty then frame it! My goals for 2012 (see here) are in my pretty little powder room and because of where they are I do stare at it almost every single day and this is why I also love to refer to these resolutions as reminders. Each time I looked at my list at least one item would stick in my head for the day and therefor kept me focused. Did I meet all my goals? Absolutely not, but others I did or I met them to the point where I felt satisfied and those will be removed for my 2013 list! We are all a work in progress and we all have things we can work on to better ourselves so if resolutions freak you out too much or make you feel like you're just setting yourself up for failure by writing some down then follow what I like to do and just let them sit somewhere and act as gentle reminders when you see them. Today's post is a double post. Aside from speaking about resolutions I also wanted to use this day to reflect on 2012 for my blog, Trend Struck. There has been so much change and growth this past year that I think it will be fun to look back on Trend Struck's top 10 moments of 2012. This is true! For those of you who didn't know my blogged started off being called All Put Together. A friend of mine made me start my blog and told me all I should do is post my outfits and let people know what I was wearing. I didn't even know this type of thing existed so I thought it sounded easy enough and All Put Together was created. As much as I loved All Put together I couldn't buy the domain name so the URL was www.allput2gether.com and that bothered me big time. So I thought what the heck let's start brainstorming and find something catchy. Trend Struck evolved by combining love and fashion. I really enjoy keeping up with trends and enjoy how it's always changing but when a trend in particular gets me really excited I then become what you can refer to as "Trend Struck". And that is that! Branding can be difficult because it's easy to get carried away with. Just like interior design, I may like a lot of different things but finding that cohesiveness can be harder than you think. Instead of jamming a lot of loves together it's most important to find the right balance of overall feel that you are going for. 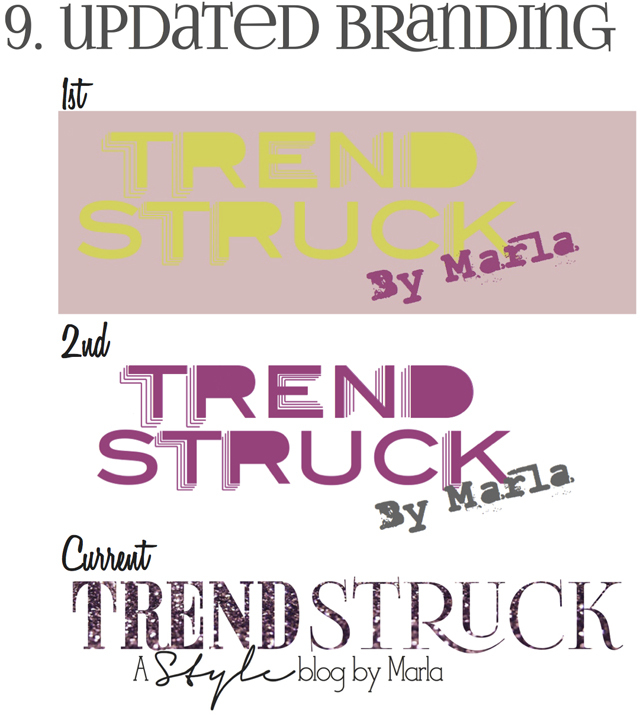 So I began by changing my name and since then I've gone through three versions of Trend Struck. I'm really happy with the fluidity that I now have on my blog. That being said, I'm sure it won't be the last time you will see changes happening here. Working with a photographer who knows what they are doing has been great. In the past it was my boyfriend taking my pictures who doesn't know how to properly work a camera at all and since I felt bad asking him to take the pictures we wouldn't go further than our driveway or the living room in the winter! Now I'm working with Pj Stephen who is my sisters boyfriend, someone who I'm very comfortable around, making the outfit shoots that much more relaxing since I'm very camera shy! This year I was very excited to meet two great bloggers. The first blogger is Marta Tryshak from With Love Gabrielle. It was so lovely to meet her as she is a fellow Canadian blogger who has accomplished a lot since she began in 2008 while she was in University!! The other blogger who I met just earlier this month was Emily Shuman of Cupcakes and Cashmere at her book signing. As I mentioned it was a friend of mine who got me started with blogging and the first style blog she showed me was Emily's. The blog was love at first sight so of course it was a dream to meet her! It was interesting to go through my posts and see which one received the highest viewings. 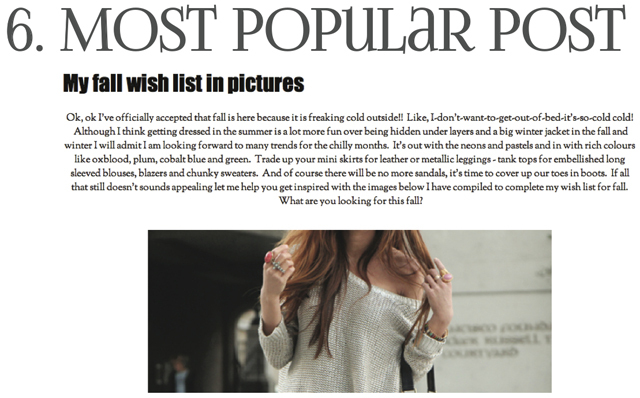 My Fall Wish List in Pictures was an incredible hit! It was the first time I did a post like this and I'm glad I did since you guys loved it so much! The winter list will be coming out in January so stay tuned! It was also fun to see which outfit post appeared to be loved the most and based on viewing numbers it was Pastel Fever that won for 2012! This one is a personal favourite of mine as well. I scored huge with this leather skirt from H&M, I just love it! With the help of my blog I was approached to style for a few creatives, promotional materials for artists and a catalogue which proved how much work being a stylist really was. Of course it sounds glamorous and you get to work with some amazing people and in the end get incredible pictures of your work but does it ever take a lot of money, time and stress! Regardless of that mini rant I had a lot of fun with each project and love the shots above that came together so nicely. To be honest this post is what blew any other posts I've done out of the water with the number of viewings. I was so excited to hear that I was going to be on the cover of this e-magazine based on outfit posts from my blog. It was a great boost that I was looking for at the time and with something like blogging that takes up so much of your time it's always an amazing feeling to see it pay off. For others to reach out and say 'hey we like what you're doing' makes it all worth it! What a lot of you didn't know is that Trend Struck had it's first birthday in June. Why you wouldn't have known that was because in June I took a month off. I had a lot that I was dealing with in my life at that time and aside from the time factor I was starting to lose motivation and realized I needed to take time to reflect on where I wanted to go with my blog and if I even wanted to continue with it. Like a lot of things, once I start something I give it 110% so working casually at my blog wasn't going to fly with me. 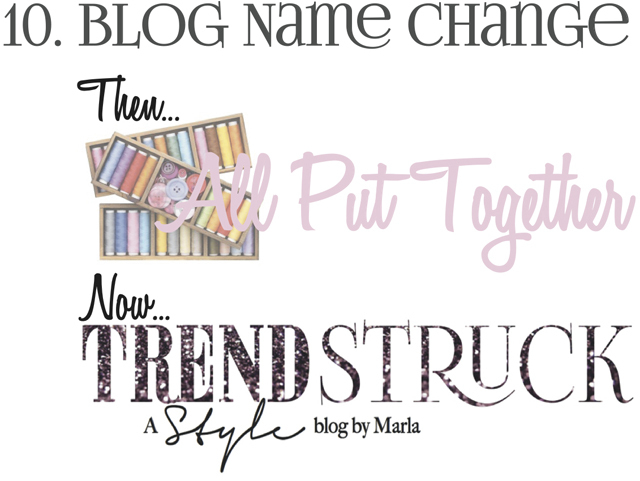 Over the month I decided on my name change, worked on the aesthetics and really thought about what it is I wanted to write about since there wasn't much consistency in my content. 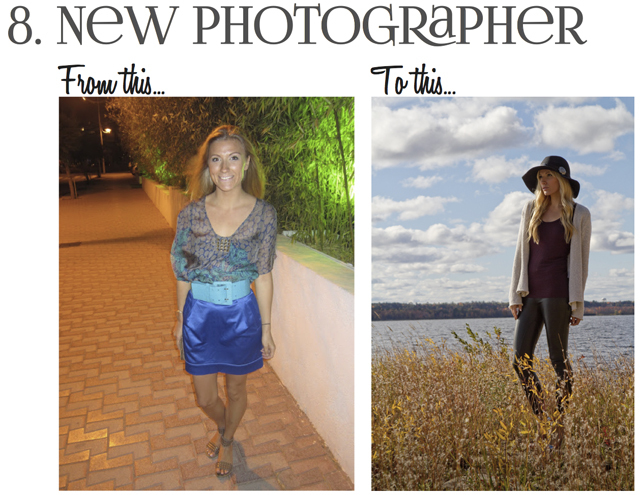 My blog has come such a long way in the last 6 months and I couldn't be happier with it. For 2013 I look forward to celebrating Trend Struck's 2nd birthday with you. Really - I do. 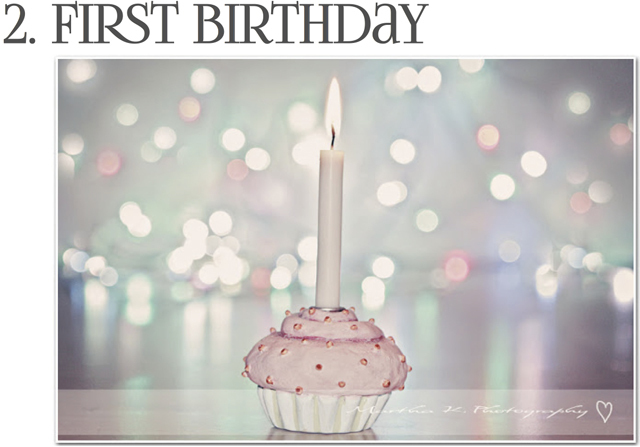 I spent a lot of time on my blog in the first year and by the time I hit Trend Struck's first birthday in June of 2012 I was still sitting at 11 followers on GFC, 3 followers on Bloglovin, 20 followers on Facebook and maybe 40 followers on Twitter. In only 6 months all of these numbers have blown up dramatically! I have readers from all avenues and I have to tell you it makes me so happy and keeps pushing me onto my next post. When I read your comments it makes me day. 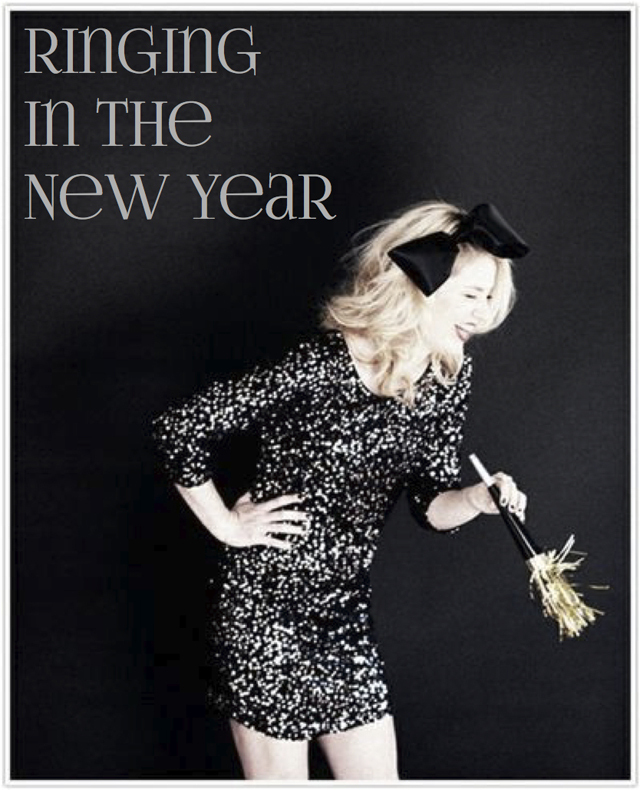 I can't wait to share more with you in 2013 of whatever it is that keeps you coming back each time! I love you guys and I wish you all an amazing New Year! THANK YOU! amazing post..love it..happy new year!! Amazing post! Seems like a great year! awe what a great year, and cheers to an even better one ! Happy New Year!!! xO! loved loved loved this post, you are such an inspiration and i'm so thankful to be able to follow your blog. I just made a portion in a magazine but when i saw yours i'm incredibly BLOW AWAY you look so beautiful and you made the cover?!?! Truly amazing. You are such a huge inspiration. I must say that I really enjoyed this post. As a new blogger I really appreciate an inside look at your past year. I am so happy to hear about all the growth you have made and I look forward to learning more about you in 2013.